The wording you choose for your wedding stationery depends on who is hosting the day and the style of wedding you wish to portray. Here are some suggestions of wording for your stationery. 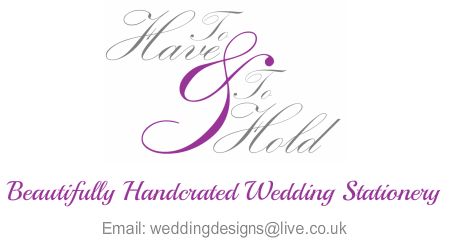 If you would like to use one of these wording options please state which option you require when you place your order or if you prefer, provide us with your own wording.